Need a peanut butter-filled pretzel? Trader Joe's is your guy. Cooking something that doesn't call for peanut butter-filled pretzels? Well, you probably need to go somewhere else, especially if that something involves, say, fish balls, fried pork rind, or frozen paratha. For those times, you'll probably want to consult this: our guide to LA's best ethnic supermarkets, complete with what they're stocking and what to munch on while you're browsing. Walking into this three-story labyrinth of Mexican food stalls is overwhelming. Your game plan? 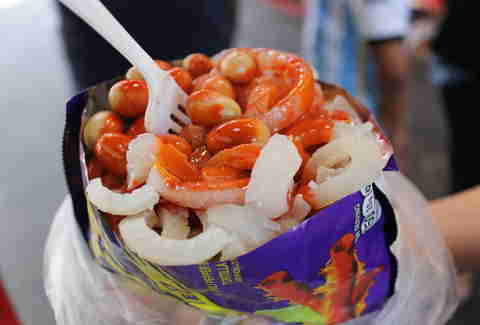 Grab a takiloco -- a snack of pork skin, cucumber, and taki chips drizzled in chamoy and chili sauce -- to munch on as you stop by the meat shop for fried pork rind, the panaderia for fragrant buns, and the spice and sauce stalls for adobo and mole verde. Think of this Indonesian market as an exotic 7-Eleven that shills things like canned jackfruit, frozen tempeh, and tapioca cakes. 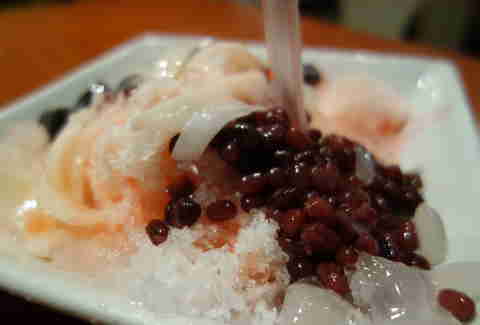 There's a drink bar that makes durian smoothies (not nearly as stinky as the fruit), and an attached restaurant, Simpang Asia, to satisfy cravings for nasi goreng and es campur, a shaved-ice dessert topped with obscure-to-Westerners ingredients like grass jelly. This hole-in-the-wall shopery has a hot food bar serving vegetarian North and South Indian specialties, like squash curry and palak paneer (a surprisingly filling spinach/cheese dish). 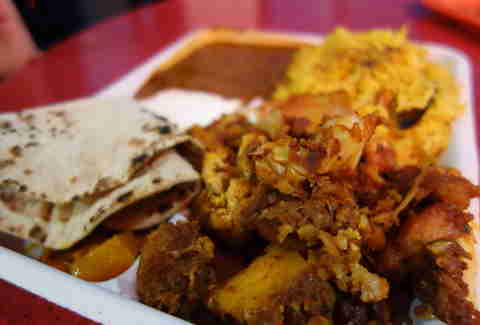 Seven bucks gets you a two-item combo with rice, naan, and a samosa. That said, if you do want to make your own, the market hawks 12 different kinds of frozen paratha and all the spices you need to make chicken tikka. Visit this Persian kosher market on a weekday, or risk getting trampled by Iranian housewives elbowing one another in the produce aisle. What're you stocking up on? 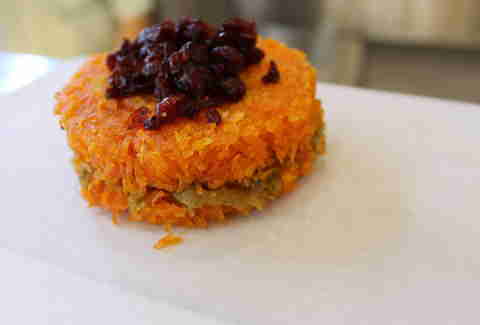 They've got an entire section devoted to baklava, and prepared foods like tah-chin, a crisp rice cake made with saffron rice, chicken, and yogurt. Sometimes a big chain is well-known for a reason, and this Chinese market is one of them. 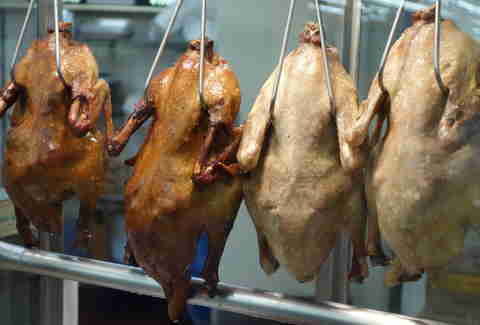 After all, not many places sell fresh chicken feet, beef tongue, and pork hock. If weird-sounding meat parts aren't your thing (don't knock it 'til you try it), pick up the crispy-skinned salted duck and scallion pancakes at the hot deli. 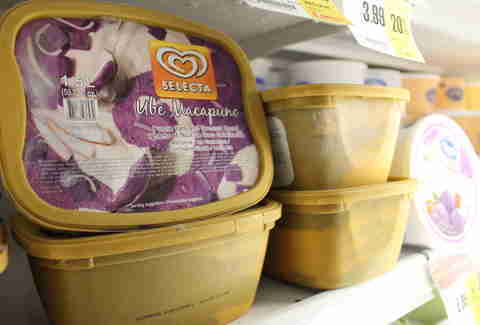 Though this Filipino market obviously specializes in seafood (yellowtail snapper, squid, still-twitching rock crab), they've also got a great frozen-goods section where you'll find grated cassava, peeled guava leaves, and difficult-to-pronounce ice cream flavors. Get the halo-halo bars or ube ripple, which is Barney the Dinosaur-colored, but insanely delicious. After you've spent 20 minutes looking for a parking spot on Fairfax, take a breath and head into this Ethiopian joint, which sells pipes, CDs, incense, and oh yeah, food. 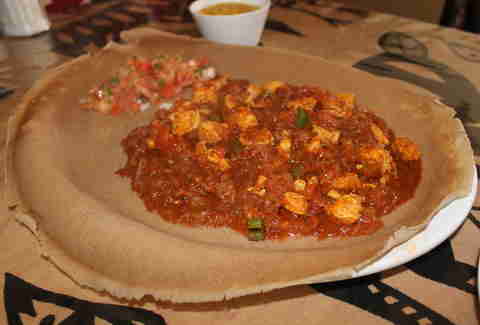 Take home bagged injera, the spongy bread eaten with most meals, or order it at the adjoining restaurant with doro wat, a red pepper-stewed chicken dish. There are plenty of solid Japanese markets in LA, but in between getting fresh seaweed and weirdo candy, you're gonna get hungry, which's why Mitsuwa's insane food court makes it the frontrunner. 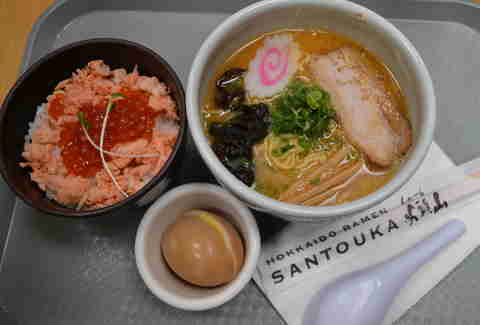 Check out Hannosuke for crisp tempura, Hamada-Ya for green tea soft-serve, and Santouka Ramen, where the broth is rich and the tender pork slices come with the perfect lean meat-to-fat ratio. 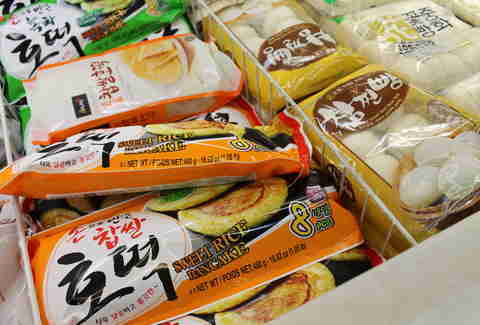 You could probably get full just wandering the aisles of this sprawling Korean market. On weekends, vendors sample dumplings and bulgogi, but make sure to stop by their banchan bar and stock up on kimchee, fish cakes, and seaweed salad. Also worth picking up? Frozen hotteok, a sweet pancake filled with melted brown sugar. 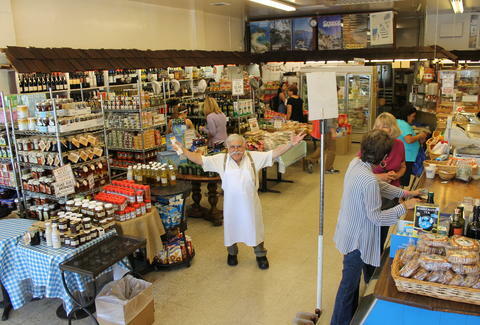 You might run into the Mario-like character Papa Cristo himself at this Old World-style market while shopping for crazy-fresh goat's milk feta, imported olive oils, and deli-case baba ghanoush. 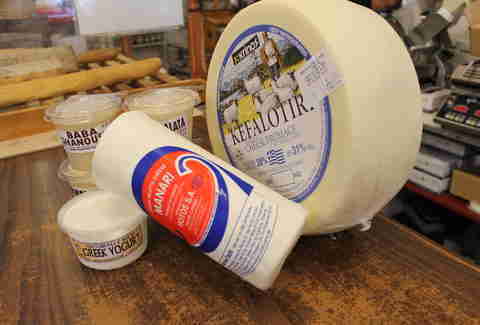 The friendly owner also runs the attached restaurant and deli, where you can feast on thick-shaved gyro wraps, grilled calamari, and perfectly flaky spanakopita. This old-school market East of Downtown is the go-to when you want spicy homemade sausages, fresh pizza dough, and imported pappardelle (so basically, all the time). 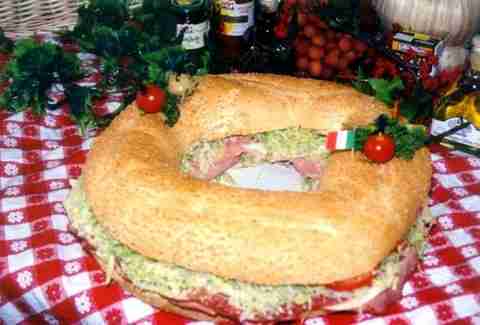 And if you're hungry, check out the deli in the back that's famous for its meaty subs, including a salami, capocollo, and mortadella-stuffed Italian ring sandwich that feeds 10... if you're willing to share.